Nifty opened positive, and went up to test the highs of the day around 6358. Nifty stayed in a narrow range of 15 points for the better part of the day but saw some ‘ALGO’ selling around 1:47PM, which saw the index nosedive towards the lows of the day to close at 6221.15, huge loss of 80.50 points (fall of approx 140 points from the top). The broader market was also very weak, with just 422 advances to 980 declines. Huge resistance is building up around 6500 Level. Call option 6200-6500 added 15.78 lacs huge amount of OI with small profit booking seen at 6800 and above strike prices. 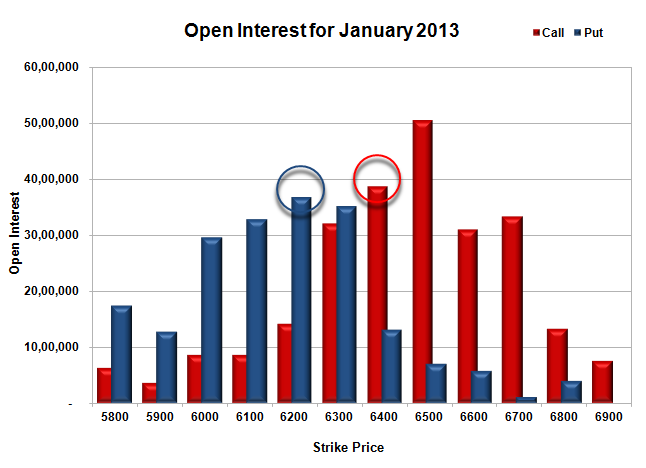 Put option 6100-6000 added 3.24 lacs huge amount of OI with short covering seen at 6300 and above strike prices. 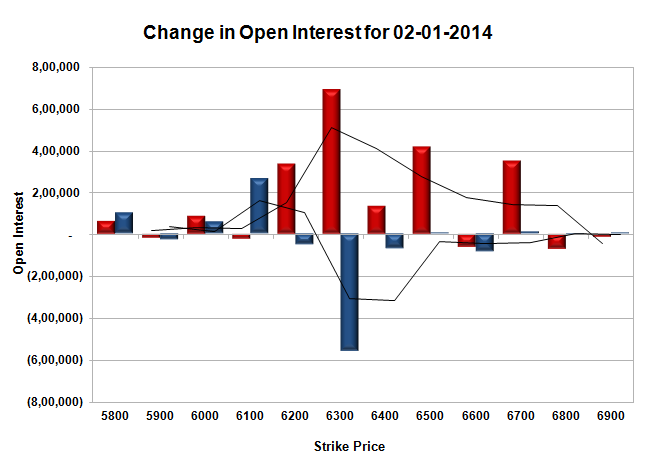 Nifty Open Interest is at 1,93,10,900 down by 4,95,350, with decrease in price, most probably huge long liquidation. Bank Nifty Open Interest is at 14,72,175 down by 17,900, with decrease in price, most probably long liquidation. FII’s sold small 0.41 lacs Futures, mostly short build-up, as their net OI increased by 4605 contracts (includes 74992 longs and 75809 shorts for the day) and the average price per contract comes to around 6209.56. FII’s future open contract as on date is 444626. PCR Open Interest (Volume) has gone down to 0.828. Initial and best support now down to 6200, with huge OI of 36.79 lacs and below that at 6100 with OI of just 32.82 lacs. Initial resistance now at 6300, with huge addition of 6.89 lacs for the day and above that at 6400, with OI of 38.64 lacs. 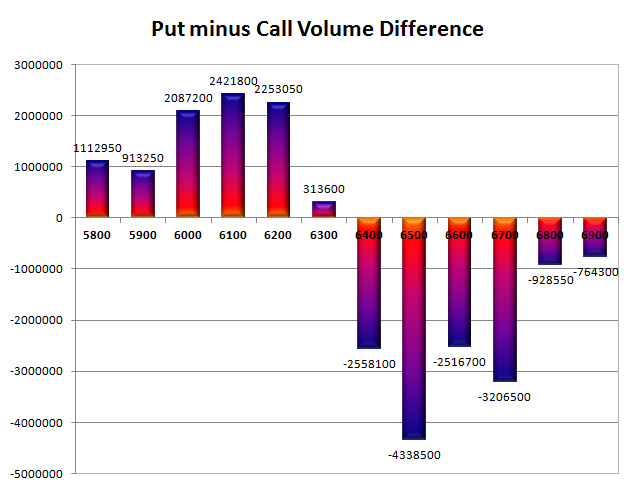 Day Range as per Option Table is 6202 - 6304 and as per VIX is 6167 - 6275 with 6264 as the Pivot.